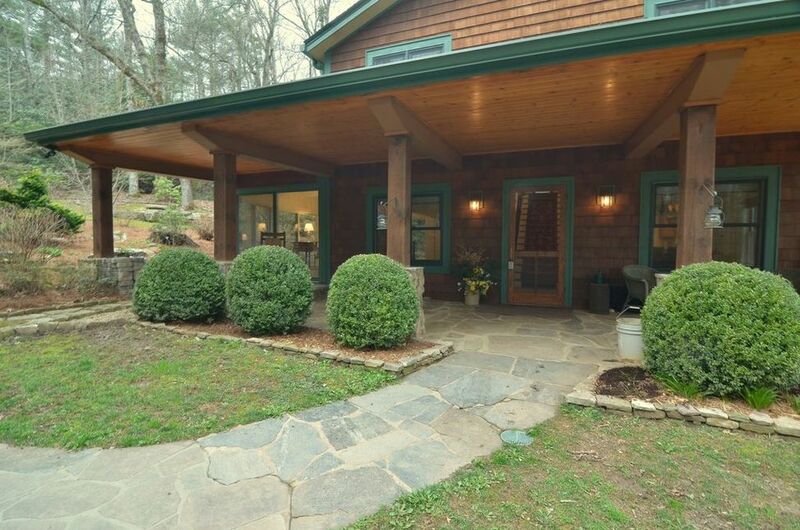 When it comes to Highlands NC homes a little landscaping goes a long way. Curb appeal matters and landscaping is a big part of curb appeal. From grass and pathways to flowers and trees, taking the time to plan the landscaping on a Highlands NC property can absolutely add value. Spring is the perfect time to evaluate your home’s curb appeal and decide whether any changes are necessary. Landscaping can be as simple or as ornate as an individual homeowner desires. Likewise your plants and trees can be high maintenance or low maintenance. The choices are yours! The Highlands NC area is home to many landscape professionals, gardeners, botanists, and arborists. This means that you have a world of information at your fingertips and can easily find out what thrives and what doesn’t in our area. Landscaping is a home improvement that can add great value when listing a Highlands NC home for sale. It also can make people stop their cars just to take a look. Take the time to plan out your summer garden and landscape upgrades. You will not be disappointed with the outcome. Contact our team at Berkshire Hathaway HomeServices Meadows Mountain Realty today to learn more about Highlands NC real estate. We welcome the opportunity to update you on current market conditions while sharing home trends we are seeing at the same time. Let our knowledge and experience serve as your guide to Highlands NC homes. Click here to read “The Best Choices You Can Make for a Practically Hassle-Free Yard” From House Logic.